MTD Training, a company specialized in management training solutions, launched MTD360, a 360-degree feedback tool for collecting feedback on all levels of employees, performing analyses of training, staff surveys, and skill diagnostics. Complementing MTD’s online management programs, the new software solution offers a new way for clients to address management-training needs with a minimum of mouse clicks. 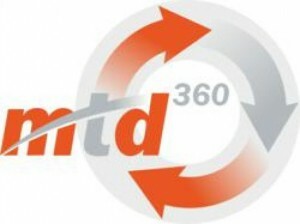 “MTD360 is just one of a number of tools that we will be releasing over the next 12-18 months. Gaining feedback is critical for performance improvement and I am delighted that now have a leading edge tool that we can use as part of our programs or companies can use it themselves to gather feedback on their staff without any involvement from us whatsoever” MTD’s Managing Director Sean McPheat said. The software is available with a number of pricing plans including a pay-as-you-go option, a pre-paid plan, or a monthly subscription fee for unlimited assessments. A free trial is also available offering two free reports for two manager assessments.